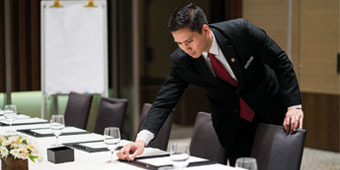 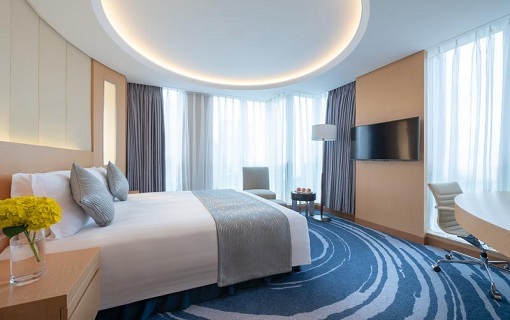 The hotel offers 391 rooms including 35 suites, with each room and suite replete with amenities befitting a discerning business and leisure travelers. 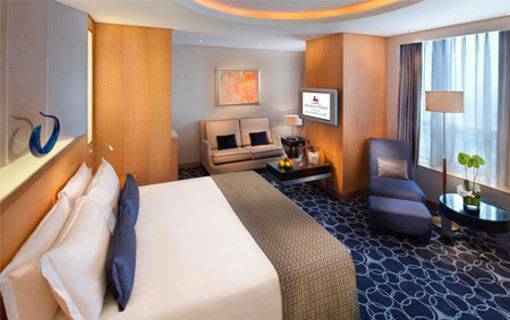 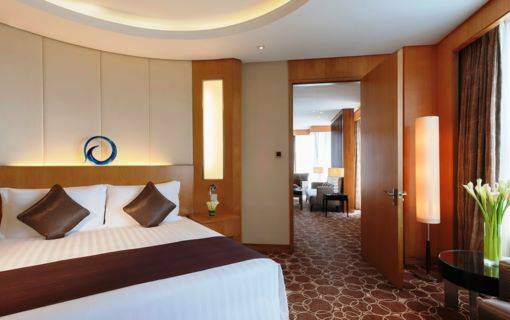 All guestrooms are fully equipped with modern facilities and have impressive city views. 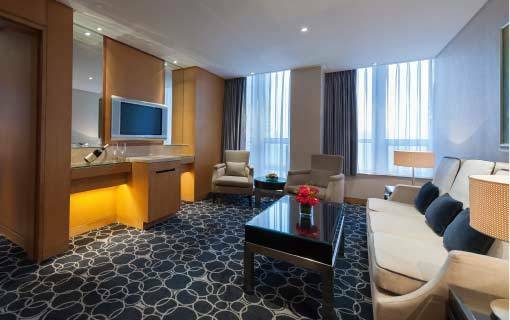 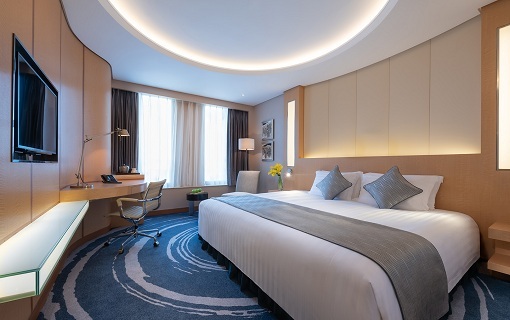 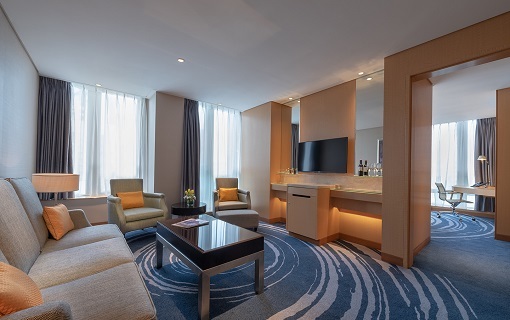 Rooms at Marco Polo Shenzhen offer contemporary comfort with a full array of amenities to make your stay a truly enjoyable one. 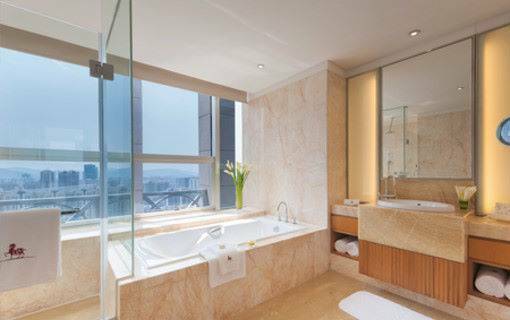 All rooms rising from 19th floor to 41st floor provide panoramic view of the dynamic city of southern China, which was once a small fishing village. 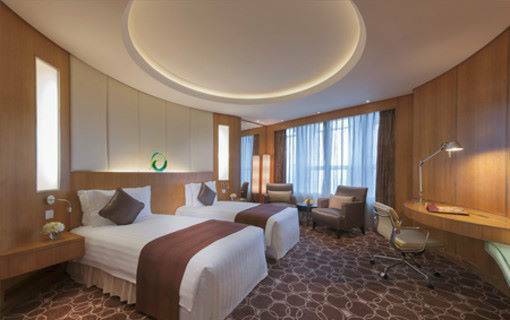 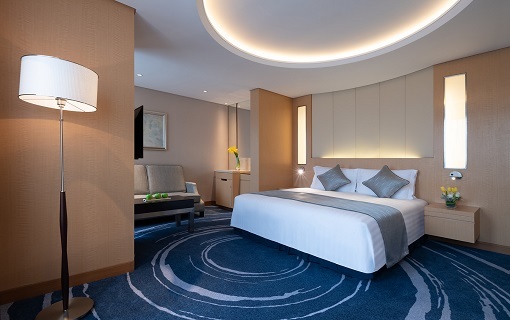 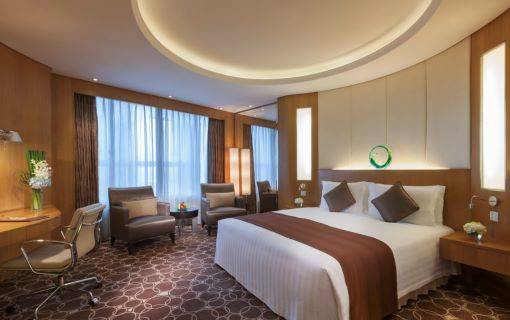 The Deluxe Premium Rooms are located on the 19th to 34th floor of the hotel, all rooms offer panoramic view of the dynamic city of southern China which was once a small fishing village. 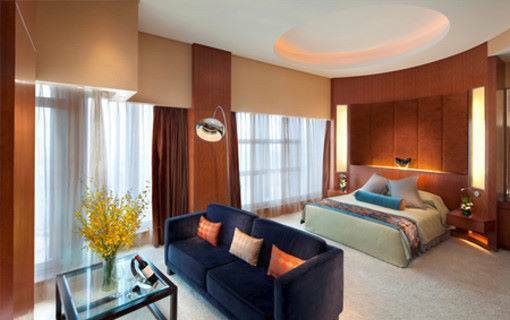 Each of the Premier room features the following amenities. 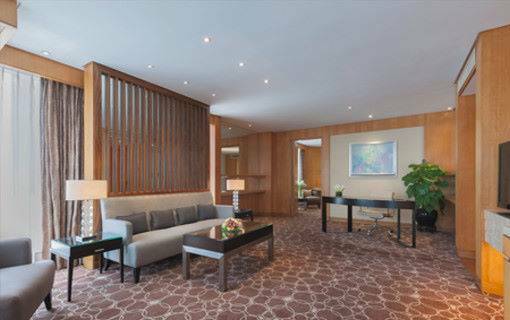 Marco Polo’s signature Continental Club Room, situated on the 35th to 41st floors provides attentive service in a cozy atmosphere for all travellers. 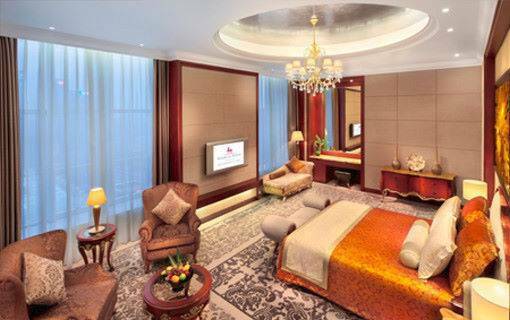 We cannot replace the feeling of being home, but we will try very hard. 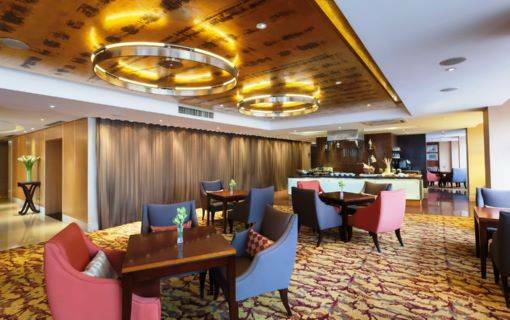 Continental Club floors located on the 35th to 41st floor welcomes you with luxury, space and comfort. 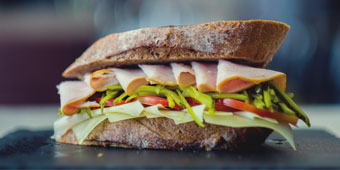 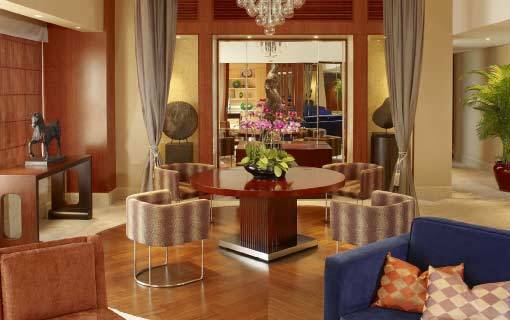 The Continental Club Lounge furnished in contemporary style, offers a relaxed haven with extensive staying benefits. 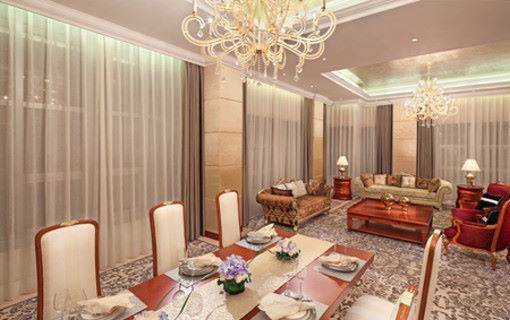 126 sq m. / 1,356 sq ft.
267 sq m. / 2,874 sq ft.